Summer fever is spreading like wild fire! It’s fun to watch people of all ages take advantage of the lovely warm weather, going into 100% enjoyment mode and having such a brilliant time in the great outdoors! It’s amazing how they can keep going on and on without feeling a hint of exhaustion. Maybe we should look up to them as perfect examples because they somehow inspire us to let our hair down and live in the moment instead of worrying and stressing out. In this snippet, we’ve caught the summer fever. 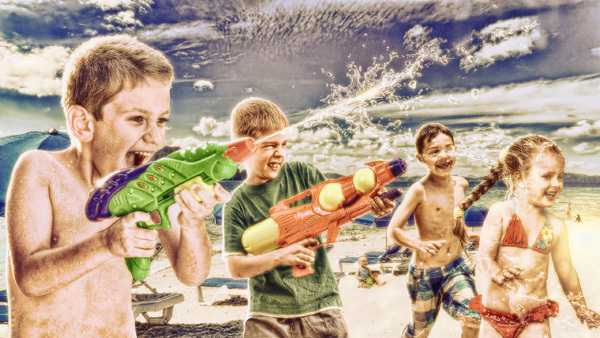 Check out this artistic photo montage of kids hanging out by the beach, enjoying each others’ company. What a beautiful sight! So, remember to let loose and don’t stress yourself too much. Go on and enjoy this summer season to the fullest. Have fun!